Anders announced on the campaign’s Facebook page on October 23rd that he had raised $100,000 in the first 90 days since launching his bid in late July. The event on the 16th further solidifies the campaign’s fundraising momentum. Raised in the Holston community, Anders is a longtime Knoxvillian, product of Knox County Schools, and graduate of Tusculum College. He was first elected to fill a partial term on Knox County Commission in 2008, and was re-elected in 2010 and 2016. Anders’ district includes Karns, Hardin Valley, Ball Camp, Solway and parts of Northwest Knoxville. He was elected Chairman of the Commission by his peers in 2013 and 2014. Anders started his career with the Knoxville Police Department in 1992 and currently serves is a Lieutenant, supervising the Special Crimes Unit in the Criminal Investigation Division. Anders served 13 years on the Crisis Negotiation Team, leading that team the last two years. He has has been named Officer of the Month, been granted the Life Saving Award, and is a graduate of the prestigious FBI National Academy Session 258. 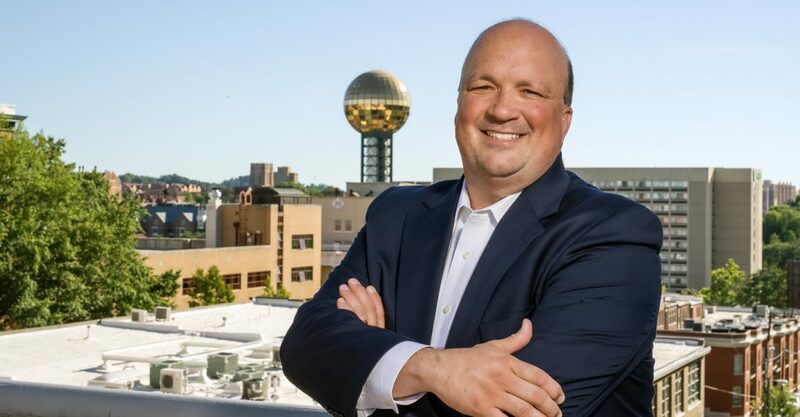 Brad was named one of Knoxville Business Journal’s 40 Under 40 in 2011 and is an alum of Leadership Knoxville Class of 2012.